The explosive growth of the Brazilian economy is straining the capacity of its transportation network, resulting in a burst of duplication works to convert undivided highways into multi lane divided highways. 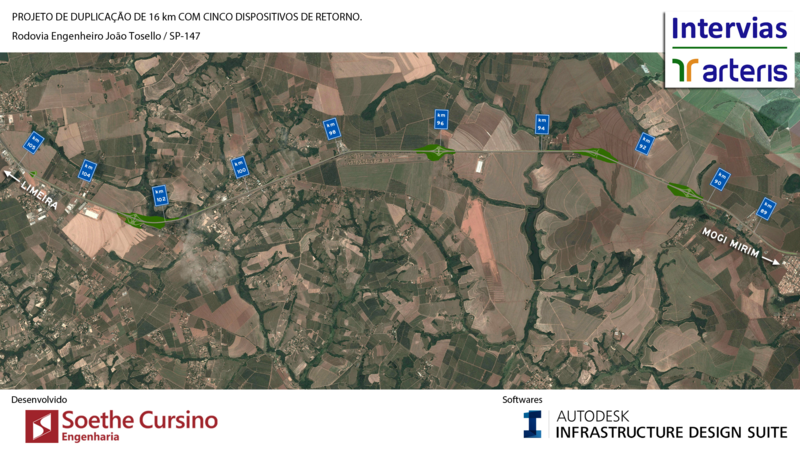 One such project is a stretch of highway SP-147 between Limeira and Engenheiro Coelho in the state of São Paulo. The project involved the duplication of pproximately 16 kilometers of the highway, including five overpasses. 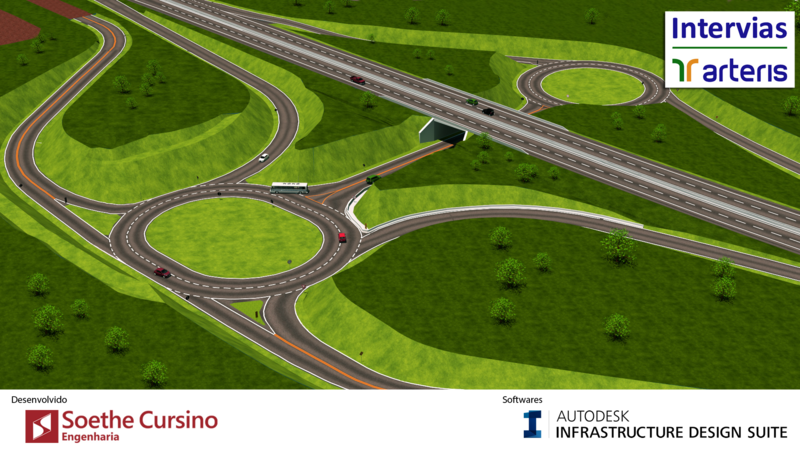 Soethe Cursino Engenharia provided engineering services for this fast-track project. We have had some challenges to build the model, due to the urgency of it, and mostly because the local conditions were already populated and full of industry. We also had to study the existence of cross access one by one. 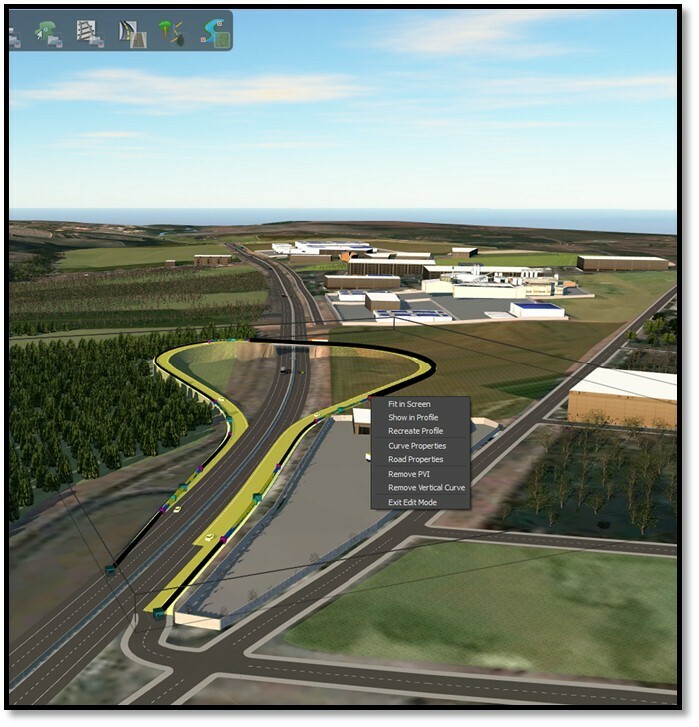 To start we used Autodesk InfraWorks to prepare and verify all possible interventions, scenarios and visualization to get the final project presentation. The video is amazing. 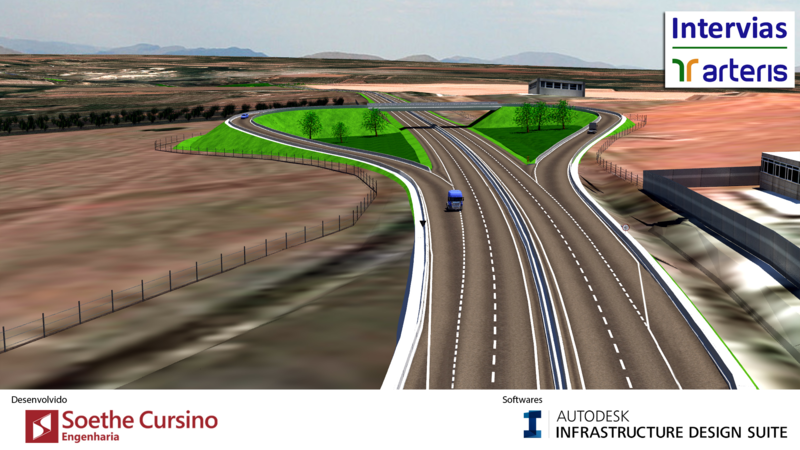 What was the main use of the InfraWorks model in this project? Were there any big challenges in building the model? If so, how did you overcome them?